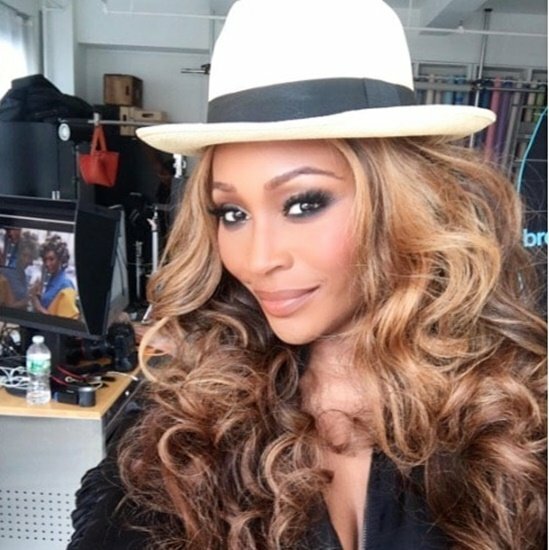 Cynthia Bailey's "50 Cyn" Lookalike Birthday Party With RHOA Cast - Photos! Cynthia Bailey certainly had an unconventional theme for her 50th birthday party: herself. Literally. While all birthday parties are about the person celebrating, Cynthia took it next level by having her Real Housewives Of Atlanta co-stars dress up in looks from some of her most famous photo shoots over the years for a 50 Cyn “Fifty Shades Of Cynthia” themed party. Cyn-ceited, much? Anyway, below you can see NeNe Leakes, Porsha Williams (I guess she’s back this season after all! ), Kandi Burruss, Sheree Whitfield, Kenya Moore, and more dressed as various versions of Cynthia throughout the years. It doesn’t seem like Kim Zolciak participated. Tonight was the #50Cynt challenge! We all were suppose to dress up as different versions of @cynthiabailey10. Thanks @carmoncambrice for coming up with the idea to do the coke Can wig pic of Cynthia! Thanks @latashawright for that mean Smokey eye & red lip! @gochasalon you killed that coke can wig!!!! What do y’all think?! Did I pull it off??? And for the winner of the 50 Shades Of Cynthia lookalike contest? Kandi! Who got a real live trophy. Like this was a pageant or something. Well, I mean whatever softens the blow of getting older, I guess, since we know Housewives can’t handle that. RELATED – Was Rumored New Housewife Eva Marcille At Cynthia’s Party? You can see photos of Cynthia’s birthday party and the looks below, including how the Housewives versions compare to Cynthia’s originals. TELL US – WHO DO YOU THINK HAD THE BEST AND WORST 50 CYN LOOKS?